“In 2015, if you recall, the county commissioners and the Senior Panel commissioned a study to take a holistic, in-depth look at the needs of our growing senior population,” County Administrator Jason Boyd said. One of the needs identified was for a guardianship program for seniors. Lake County Probate Court Judge Mark Bartolotta, who was initially appointed to the bench in September 2013, said recognized the need for a better, more efficient guardian program son after taking the bench. He had been trying for a number of years to initiate and implement a program which would be appropriate for Lake County residents, including seniors. The program came together once the court got together with Lifeline, the Board of Commissioners and the funding partners. “It’s been exceeding all of my expectations so far, which were pretty high to begin with,” Bartolotta said. He explained, while seniors were the largest group of people who need guardians, there are also those with developmental disabilities and minors who also need assistance. Boyd said the commissioners and the court did check out guardian programs in other counties, but did not feel they were what was needed here. So, they chose what they felt were the best aspects of the other programs to create a comprehensive program they felt would work for Lake County. The people who qualify to be wards are those who are found to be unable to take care of their personal needs, possessions and finances, Bartolotta said. Referrals come to the court from agencies, nursing homes, Lake Health, family members and others. Then there is always a formal court hearing, with physician reports, to determine if someone is incompetent. For that reason, the Volunteer Guardian Program has been established to recruit and train volunteers to fill the roles as guardian for those who have no one else to do it. Carrie Dotson, executive director of Lifeline, said she has three staff members who are trained to work with the court, recruit volunteer guardians by giving presentations to groups and screening volunteers. Whether a family member or other volunteer, all must take the training course. The local program will also have regular meetings for guardians so they can share experiences, problems and solutions. Guardians must be at least 18 years of age and be able to pass a stringent background check—not just local, but also state and possibly federal as well. The program calls for matching volunteer guardians and wards for the best results, she added. They also try to ensure the guardians know who to call for solutions to different problems. Guardians help their wards with decisions about matters such as healthcare, placement, employment, housing and similar decisions. The law calls for guardians to have contact with their wards at least four times a year and to submit a report to the court each year. However, they are trying to get guardians to meet with wards twice a month. Bartolotta noted the program does not handle any finances for the wards. If such assistance is needed, the court appoints an attorney to handle fiscal matters. Some attorneys handle 10 or more wards. Currently there are about 1,400 people in the county, including some minors, who require guardians. As of February, they were able to recruit 14 volunteers for 45 wards. There are 45 more people waiting for guardians. 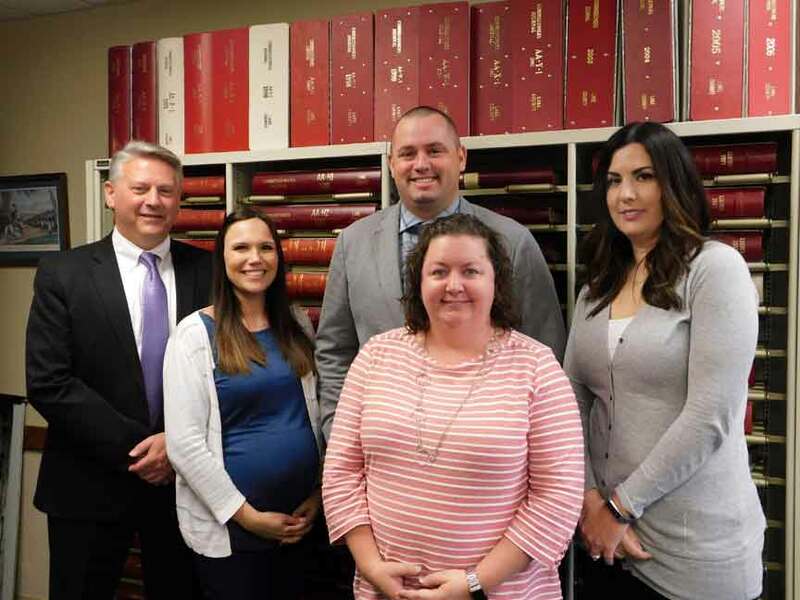 Contributing to the formation and operation of the new Lake County Volunteer Guardian Program are Lake County Probate Court Judge Mark Bartolotta, back left, Lake County Administrator Jason Boyd, Lake County Senior Services Coordinator Alyea Barajas and Christine Gibaldi of Probate Courtm front left, and Lifeline Executive Director Carrie Dotson. For more information call the Volunteer Guardian Office at (440) 350-2233.